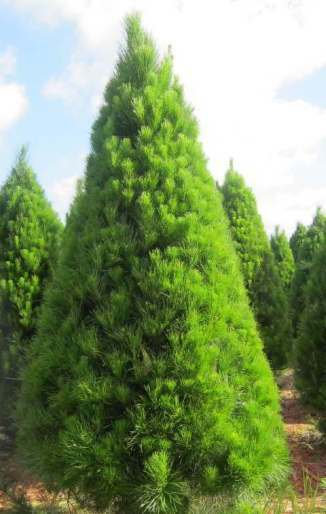 In Australia the main type of Christmas Tree we use is the Monterey Pine Tree (Radiata Pine) because it grows well in the Australian climate. It is called the Monterey Pine because it is a native tree of the Central Coast of California, USA . Monterey is a city in Monterey County in California. Here is a video showing different types of Christmas Trees.